Our Mission Command membership offers you a way to completely own the process of developing your app, now and forever. Agile is the app development community's standard method, but costs a bunch because there are multiple roles and experts needed to truly become agile. 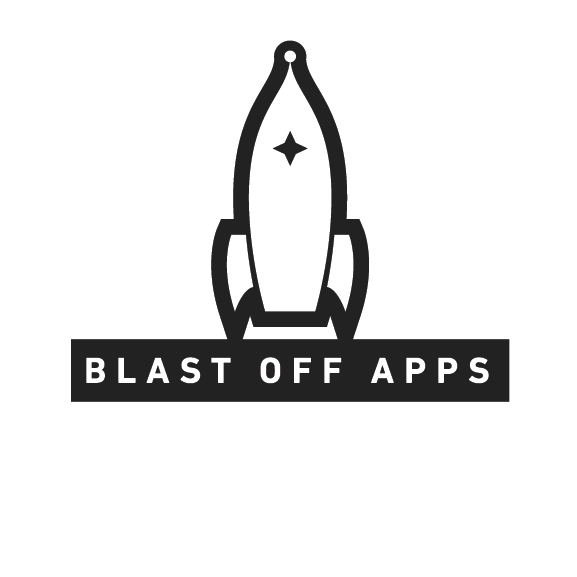 Blast Off Apps has developed a system to develop apps and other software that puts YOU in command, leaving the technical details to us aka Agility as a Service. Instead of just developing your app and leaving, we integrate into your team and are available through Slack anytime you need us. As for development, we implement all the ceremonies and traditional agile leaders to quickly adapt to you or your users' changing needs. We have all needed a mechanic to help service our car and that is a good place to start. When that happened, you most likely went to a mechanic you (hopefully) trust and defer to their expertise and morals in pricing. This is not unlike the waterfall method of development. The coders take your idea, develop what they need to functionally, then pass it back to you as a "complete" project. The problem is, unlike the car, apps are never "finished". Instead, apps are constantly needing updated to keep up with trends, react to user feedback or shifting focus, as well as 3rd party changes that can drive users from your app. Imagine if you could have a mechanic with you at all times and every week or so they made sure every single part of the car was state-of-the art and is upgraded to the latest operating system in its computer. Imagine now if they find out you can turn your 1990 Ford Bronco into a Tesla through some simple, incremental, steps. For instance, you could upgrade the electrical, then update the components under the hood, modify the body, and add the solar panels they just announced even. Not only this, but you have the expert mechanic that can keep you plugged in to even newer advances and help sculpt your car into that Tesla keeping it attainable by your budget and time limitations. That would be Great, right? Well, that is what happens with agile development. Utilizing our Mission Command Membership, you can be just like startups that have coders on staff. They are there to be that expert with their finger on the pulse of the industry as well as the ability to help you through an issue you would come up against. Developing the plan to develop the app you dream of will also offset the costs incurred at each point there are coders involved (the most expensive part since American coders make $100-$200 per hour). During the time you aren't developing the app through software engineers, you are planning little fixes that help with user experience, retention & device compatibility. On top of this, agile also allows for small changes that take less engineering hours & that leads to smaller amounts of payment each time there is an update. If a member of Mission command, all the time you are earning free coding hours that will help offset some of that cost when engineering hours are necessary. Agility as a Service (Mission Command membership) offers exactly that, agility. Through integrating with your team and helping guide you through all the peaks and valleys of app ownership by keeping your development agile and able to quickly adapt and react to changing conditions in a very turbulent sea of cutting edge software development. Also, you will be educated and your app is the focus with you sitting in the Mission Commander chair only relying on us for the expertise you need help with. Through Slack and email we have developed the perfect solution for teams that can't afford to hire (or can't find) the right development team to cover all of their development needs and make their app comply with the industry standard agile/lean methodologies, complete with guidance and education on the whole process. Need a Technical co-Founder? Maybe not!